NEW BOOK AVAILABLE WITH BEST DISCOUNT ON THE WEB! The transformative strategies found in this book represent the future trends in volunteerism. As VolunteerMatch President Greg Baldwin puts it, "This isn't a book about what volunteering has been. It's about what it can become." Learn how you can bring these approaches to your own organization. Buy Your Copy in the Energize Online Bookstore and Save! Energize, Inc. is delighted to be the designated distributor of this important new work, with an added benefit to all customers. 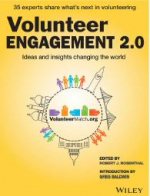 Through a special arrangement with VolunteerMatch, we are able to offer a discount of 25% off the retail price of the paperback edition of Volunteer Engagement 2.0 ! That's $26.25 (plus shipping) - the lowest price on the Web. Order your copy today! We're in the middle of Volume XV, Issue 3 of e-Volunteerism, our international, subscription-based journal for informing and challenging leaders of volunteers. It will run through mid-July. (Vol. VIII, Issue 3, April 2008). 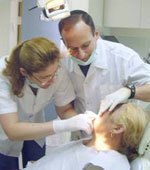 The volunteers in Yad Sarah's Jerusalem-based geriatric dental clinic include young and senior dentists and a dedicated, permanent administrative staff. The organization surveyed and analyzed their feelings about providing this important service. Is Finding a Comparison a Sign of Achievement? Should you compare and contrast your volunteer engagement to that of other organizations? Is finding a comparison a sign of achievement, or is it compromised by the limits of benchmarking? And given the diversity of settings in which volunteers serve, is comparison even possible? Rob Jackson and Susan J. Ellis consider these issues and more. A Volunteer's a Volunteer, No Matter How Small: Children as Volunteers - In this edition of Along the Web, Erick Lear looks at the topic of involving even young children in volunteering, presenting Web sites with examples of volunteer activities for children, best practices for working with young volunteers, and special issues to consider. 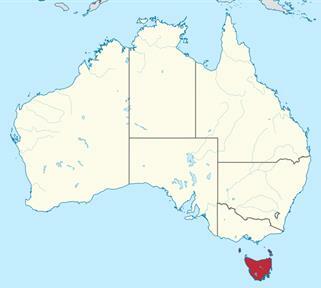 The Economic, Social, and Cultural Value of Volunteering to Tasmania - Highlights from a 2014 research study of how Tasmania, its charitable organizations, and volunteers themselves derive "benefits" of many sorts from volunteering - beyond cost-effectiveness or return-on-investment. - Update added! In this article, we introduced Stephanie Myers, an MPA candidate at Villanova University, and began following her efforts to found and grow Mind4Athletes, Inc. (M4A). Well, she's earned her degree and is now focusing on M4A. Come back and read part 2 of the article. Look for a Training Design on advocating for volunteers by training paid staff; a review of a new research report on whether volunteer management is an art or a science; and a look back to a 1954 conference on the interrelation of self-help and social work. happy Volunteers Week (1-7 June). the third week of June. See other special days about volunteering in our Director for the Profession. How often have you heard someone say "volunteers are our community representatives"? While there is definitely the potential for this to be true, it's rare to find an organization actively asking volunteers anything at all about what the community may think. As I so often advise: Don't wait to be asked. Your executives and colleagues cannot picture the kind of information volunteers may provide and do not have the foggiest notion how to generate new ideas from volunteers. As volunteer resources manager, this is a fantastic opportunity to highlight the value of volunteers being different from the paid staff, on purpose. They diversify the perspectives the organization can apply to evaluating and problem solving. We need your eyes and ears. Please consider it your responsibility to be observant and to let us know if you discover something that requires attention (super service is as important to recognize as a problem!). Caution: You do not want to imply that volunteers are supposed to spy, report tiny daily observations, or make a nuisance of themselves! But unless you invite their feedback, you may not get it - or, worse, you may simply generate gossip among volunteers only. Also talk about this in the orientation of new volunteers and as part of training. What do you most hope volunteers will discover? How do they report something? To whom? When? You are an important link to the community for us. So periodically we may ask you to complete a survey, distribute information to others, or try to learn something about a service we offer. Thanks in advance! The point, of course, is to give volunteers the heads-up that you see them as a source of help in understanding the community. Here are a few ideas that are very easy to do, but which no one but you will ever think of doing! So make the offer to your senior management and see what happens. If there is no interest in seeing the results, do not waste the volunteers' time and move on to other things. Pose a "question of the month" and ask volunteers to respond anonymously on an index card and drop their answers into a fish bowl in the volunteer office (showing how many people have accepted the challenge). Of course also ask the same question in an e-mail to all volunteers, if people prefer to answer that way. What kind of questions? What's one thing you overheard a client say this month about our organization - good or bad? How can we better advertise the availability of our services to people who live within 3 miles of this facility? Once a month or quarter, invite volunteers to come to a meeting (serve light refreshments) to discuss a question you will tell them in advance. Also invite relevant paid staff and managers. Keep the discussion focused only on the announced question, encourage an informal tone, and concentrate on generating ideas that might lead to action (absolutely no griping!). Be sure to vary the days and times of these sessions to make sure different volunteers can attend. If you already hold regular meetings with volunteers for training or reporting purposes, add 15 minutes to the agenda and discuss an issue there. Create a three-question survey with multiple-choice responses and print it on card stock. Ask every volunteer to take 3 survey cards and bring them back within one week, with responses from - you choose - their paid work colleagues, neighbors on their street, someone under the age of 21, etc. None of these ideas is unique, but the demands of daily work will always take precedence unless you decide that tapping the brains of volunteers on behalf of your organization is important enough to schedule into your calendar. Think of how success in producing a flow of useful feedback will affect the respect of agency colleagues about what volunteers know and can do.